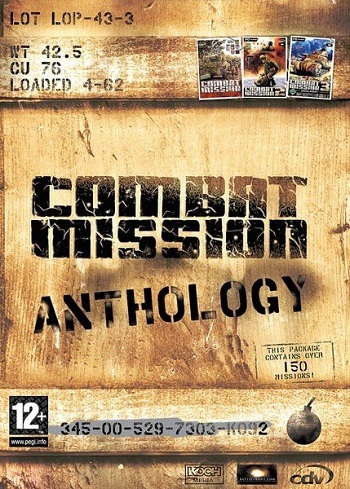 An independent title, called Combat Mission: Afghanistan was also released in 2010, depicting combat during the Soviet invasion of Afghanistan. A second modern/near-future module set in Ukraine was released in 2015. Three playable public demo scenarios were offered at various times, the first being a Beta Demo offered pre-release in October 1999. A Gold Demo was released later; because file formats had changed during production of the game, two new scenarios were included that were not compatible with the earlier Beta version. Neither demo included access to the mission editor, but did permit solo, hotseat, and email play. TCP/IP play was not a feature that shipped with the initial release, but was added in later via a patch. Last Defense and Riesberg were included with the original beta demo. At Christmas 1999, an add-on entitled Chance Encounter was added to the beta demo. Chance Encounter and Valley of Trouble were released as the Gold Demo. Chance Encounter depicted a fictional meeting engagement late in the war between an American rifle company supported by Sherman tanks, and a German rifle company supported by assault guns. The terrain depicted a rural crossroads overlooked by a forested hill. Chance Encounter has remained a popular scenario and versions of this battle have been recreated by third parties in Combat Mission: Afrika Korps and even Combat Mission: Shock Force. Valley of Trouble was a brand new scenario for the Gold Demo that depicted an American assault through a fortified valley. The original release came with no packaging and was sold directly from Big Time Software via internet only. The disc was packaged inside the pages of the rulebook; opening the padded envelope often caused a shock to new customers expecting to see a jewel case or box containing the software. Two playable public demo scenarios were offered before release; one set in the Battle of Kursk in 1943 and another in 1941 in the fighting outside Moscow. The first highlighted new steppe terrain and changes to the AFV gameplay such as the "death clock" of knocked out tanks, as well as the organization of vehicles into platoons, and the interaction of various types of vehicles such as heavy Russian KV types and German medium PzKpfw IIIs. The latter scenario emphasized changes to the infantry game, particularly the effect of machine guns on infantry; the ability to mass for human wave assaults was also permitted in the demo. We are very proud to announce that Combat Mission: Barbarossa to Berlin (CMBB), a realistic 3D WWII ground combat simulation of warfare on the Eastern Front, from 1941 to 1945, is NOW SHIPPING!!!. CMBB is available for purchase online through our webstore, or from our distribution partner [CDV Software Entertainment AG] which is releasing the PC version into most European countries. 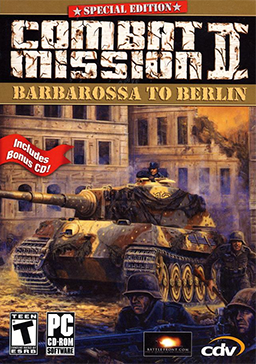 Also shipping is the Combat Mission: Bundle Pack which includes both Combat Mission: Barbarossa to Berlin and the original Combat Mission: Beyond Overlord at a deeply discounted price. On 18 November 2003, battlefront.com announced that Combat Mission: Afrika Korps had gone gold. That same day, they announced that they were opening up preorders for the new game, as well as releasing a public demo, containing two scenarios. 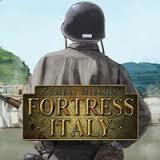 (The title of the new game was something of a misnomer, as the Italian theatre was also included). Multi-turreted vehicles were modelled, and thus one scenario featured M3 Lee tanks in a desert scenario set in North Africa, which also showed the new dust cloud effects. A second scenario was set in Italy with new terrain types including vineyards. It is with a great deal of pride that Battlefront.com is announcing that Combat Mission Afrika Korps has gone gold is currently in production and should be shipping by December 5th. 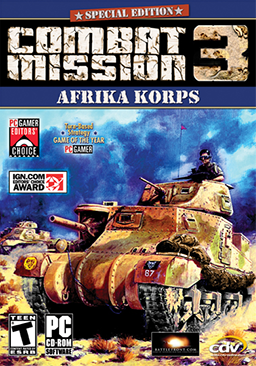 Combat Mission: Afrika Korps is the third game title released to date in the award winning Combat Mission series and focuses on the Mediterranean Theater of Operations, from East Africa in 1940, all the way into Italy 1945. We are also excited to announce a new Combat Mission Bundle Pack, featuring both CMBB and CMAK. 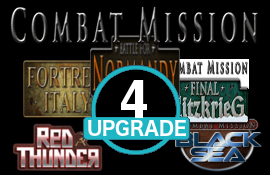 This new bundle replaces the old bundle which included CMBO and CMBB and is also expected to ship by December 5th..
And as if that wasn't enough already, we have also reduced the prices on both Combat Mission: Beyond Overlord and Combat Mission: Barbarossa to Berlin. CMBO is now on sale for $20 USD and CMBB is now on sale for $35 USD. 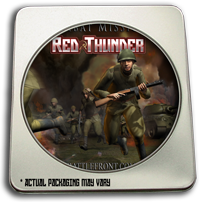 Pre-order Edition: a special edition was available to pre-order customers, which included a foldout battle map showing units and locations included in the Task Force Thunder campaign, as well as a pre-printed mousepad showing hotkey configurations for the 1.0 release version of the game. A retooled Version 1.30 Demo released in October 2010 included sample scenarios with forces from all three add-on modules as well as a preview of the scenario editor. 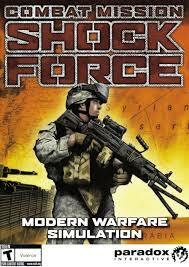 The Game Engine 4.0 version (called Combat Mission: Shock Force 2) was announced in 2018, along with engine upgrades for all the add-on modules. Developed by Snowball, a Russian software company, and distributed by Battlefront, this game depicted combat during the Soviet invasion of Afghanistan. Details of the demo were not made public until the day of the release. Two scenarios and a tutorial were included. 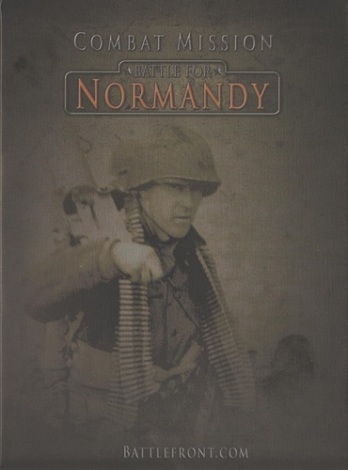 One scenario was set in what the Americans called the Battle of Normandy proper, on July 11, 1944, depicting an attack of a company of the 116th Infantry Regiment, 29th Infantry Division on the Martinville Ridge. The other was set in the "Breakout" period. Pre-order Edition: special features of the pre-order edition were a "steelbook" case. Details were first announced on 21 June 2012. A special pre-order version included a tin CD case. Key details included five campaigns, 12 standalone battles and 250 Quick Battle maps, as well as the debut of the second generation "v.2.0" game engine. The demo was released five weeks after the game debuted. The upgrade to the 4.0 game engine took longer than for the other existing games as apparently the TO&E had to be rebuilt from scratch, causing a nearly four month delay. Details were first announced on 30 January 2014. A special pre-order version included a tin CD case. 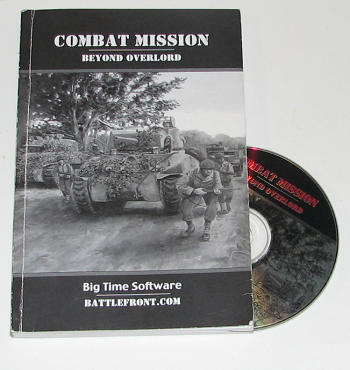 Key features included the debut of the 3.0 game engine and a return to the Eastern Front set during Operation Bagration in June 1944. The demo was released just over 7 weeks post-release, and included one of the release scenarios, and one custom scenario which was subsequently posted on the Battlefront Repository. 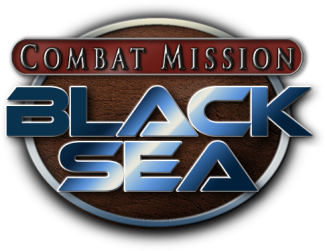 Combat Mission: Black Sea is a military simulation depicting a fictional 2017 conflict between NATO and Russia in Ukraine. Following the events in Crimea and Eastern Ukraine in 2014, the Kiev government and Russia continue to clash over the status of the contested regions. This culminates several years later in a dramatic announcement by Ukraine that they will be joining NATO and the EU. Tensions explode as Russia perceives a direct threat to Russian citizens and deploy troops to the Ukrainian border again, while Western governments, welcoming a chance to expand NATO and EU influence eastward, mobilize as well. The escalation continues until the summer of 2017, when a large firefight erupts between Ukrainian and Russian troops in the Donetsk region. The next day fighting flares up on the border, and on a dark early morning in June 2017, pre-positioned Russian and NATO forces roll forward into Ukraine. The game featured the 3.0 game engine. Details of the new Combat Mission title featuring combat in Northwest Europe following the time period depicted in Combat Mission: Battle for Normandy were announced in early 2016. Base game covers the western front from October 1944 to January 1945, although emphasis is placed on the winter battles of December and January. Regions depicted include the Ardennes, France, Germany, and Holland. *This was the date the game release was announced on the forum. The game was actually available shortly Nov Jul 12 Debefore, but BFC instituted a "soft release" policy, presumaby to ease strain on their download server. Not tied to the release of any particular game, the 4th generation game engine premiered in December 2016 as an upgrade for CM:FI, CM:BN, CM:FB, CM:RT and CM:BS only. At long last, Combat Mission moves from Game Engine 3 to Game Engine 4! In the Store you will find Upgrades for CMBN, CMRT, CMBS, and CMFB. CMFI's needs a little more time in the oven, but it will be along shortly. After we have a little time to recover there will be a central page of information about Game Engine 4. For now just visit one of the supported CM Families in the Battlefront Store and look for the various Upgrade options. The details are there for your viewing pleasure. We offer a bunch of different purchase options, including product specific Upgrade 4 installers, specials for both Upgrade 3 and Upgrade 4 (where applicable), and the Upgrade mega pack with all 5 Families covered (including CMFI). It was a last minute rush of minutia to get them out to you, so enjoy! Also know that CMBN, CMRT, CMBS, and CMFB Base Games and Base Game Bundles are all using Game Engine 4 now. CMFI, once we get some details ironed out, will also be at Game Engine 4.